When I saw blood, first thing I googled was miscarriage signs. Why do we keep the first 12 weeks of pregnancy a secret? I worry that the secret is leading to far bigger problems. Every year for the past 18 years, I would look forward to spotting. It was, “Congratulations, you aren’t pregnant, your period will be with you in the next 24 to 48 hours”. Except for the last time. When it showed at 9pm one night when I was eight weeks pregnant. I immediately turned to Dr Google and typed, “Signs I’m miscarrying“. As I read every morsel of information I could find, I replayed what I did over the last few days. What could I have done to cause my possible miscarriage? Right there. That’s where I cringed and hated myself. 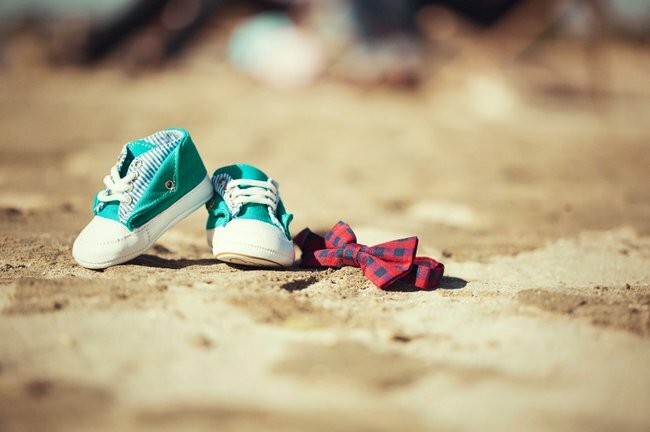 Although it is my first pregnancy and I, fortunately, haven’t had a miscarriage in my lifetime, I know that miscarriages are never a woman’s fault. But I know I’m not the only one to think that thought. But the New York Times goes on to say that many women don’t actually know or understand that. Instead, they still believe that their miscarriage is caused by something they did. Lifting a heavy object. Being stressed. Taking contraception in the past. In my opinion, women have these thoughts because miscarriage is still a taboo subject. Miscarriage is still considered a bad word. And the word still comes with shame and guilt. While some women just can’t wait to spread the good news, many still prefer to keep things under wraps until the 12 week mark, when there’s less risk of miscarrying. Zev Williams, director of the Program for Early and Recurrent Pregnancy Loss, or Pearl, at Einstein and Montefiore told the New York Times, "The vast majority of women I see blame themselves. Miscarriage is unique in the amount of self-blame and shame involved." And that blame and shame culture, makes those first 12 weeks scary (when they should be exciting). Besides being plagued with all-day, everyday morning sickness in my first trimester, I also worried over the dilemma every newly pregnant woman thinks about. When should we tell everyone we&apos;re pregnant? One part of me wanted to tell everyone. To hell with it. If I was going to have a miscarriage, whether I told or not wouldn&apos;t make a difference. In fact, wouldn&apos;t it be nice to have everyone&apos;s support if I did have a miscarriage? And wouldn&apos;t it be great role model behaviour to show everyone that you don&apos;t have to be scared to share the news? Because there&apos;s nothing shameful about miscarrying, if that was to happen? But then there was a part of me that would shake my head at my husband when he whispered in my ear, "Should we just tell them?" at a social gathering before the magical 12th week. Yes, I was just as excited as he was to tell our friends. But was I ready to also tell them of a miscarriage if it happened? So many couples wait quite a while before announcing their pregnancy, just in case. 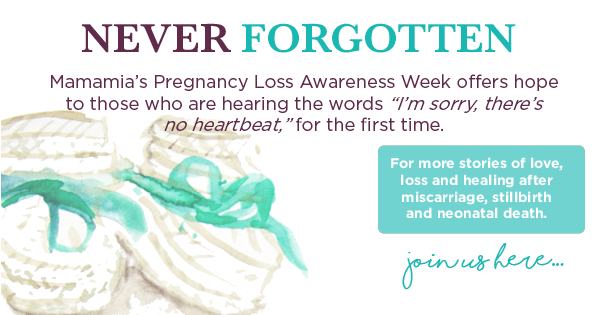 I know many women, friends and family, who&apos;ve had miscarriages. Many didn&apos;t tell anyone they were pregnant. Or that they miscarried. Many just kept it to themselves. But I also know women who&apos;ve miscarried and then gone on to tell their social circle about their next pregnancy before the 12-week mark. "I had an ectopic pregnancy, then a miscarriage. I thought it would impact how soon I told people when I next got pregnant, but it didn&apos;t. I was of the opinion that whatever happened was going to happen and telling people wouldn&apos;t change it. Plus, it helped to have those around me understand what was going on rather than trying to hide it," one friend recently told me. Part of me knows that if we talked more about pregnancy before the 12-week mark, we would probably talk more about miscarriage. Part of me knows that this might reduce the blame and shame label it has permanently glued to it. But part of me knows, it isn&apos;t that simple. But I do think we need to talk more about miscarriage, and more about those first 12 weeks. Because the loss of a baby at any point in a pregnancy needs to be something we (women) don&apos;t feel ashamed about. Or blame ourselves for. Ever. When do you tell family and friends that you were pregnant? If you have experienced miscarriage, still birth or a newborn death and need support, please contact the Sands 24 hour national support line on 1300 0 72637.